This 12,000 sq. 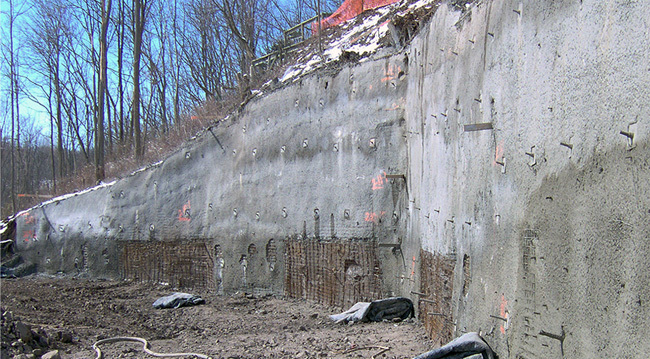 ft. project involved temporary hillside shoring for a developer in Tillsonburg. The project was completed during winter months with winter protection of panels and concrete and special measures by HC Matcon designed for winter conditions. 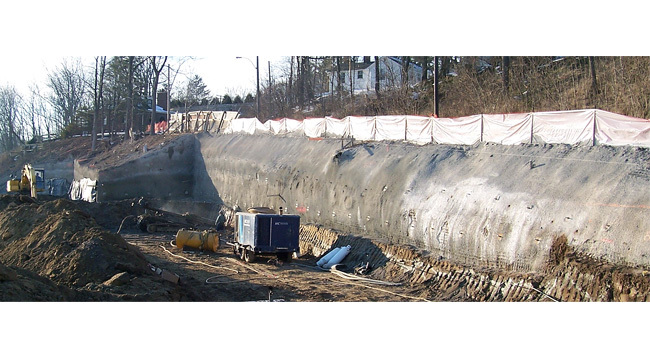 The shotcrete shoring solution was both low cost and viable due to the hillside access issues. The final building is designed to take the hillside load through concrete shear walls and footings. 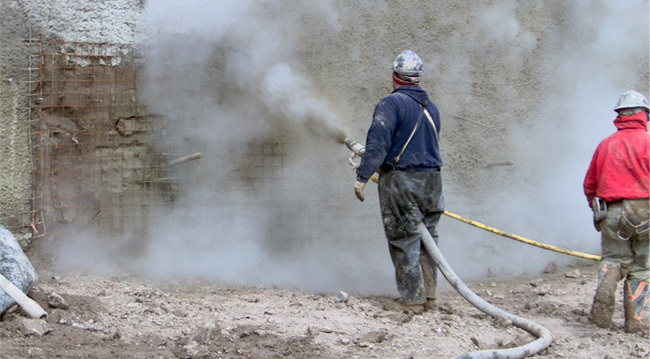 Soil nail walls do not involve stressing the anchors, while HC Matcon practices the Vancouver method of Shotcrete shoring which used strict panel sequences with post tensioning of anchors to reduce movement. 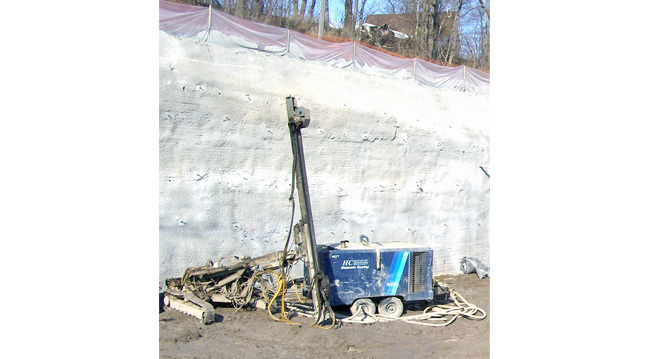 Total station monitoring can track vertical and horizontal movement of the typical Shotcrete shoring wall by fixing targets to the shoring wall as it is constructed. Work proceeds in 5-6 Ft. vertical lifts, so a project schedule is typically the height of cut, divided by 5 in weeks.